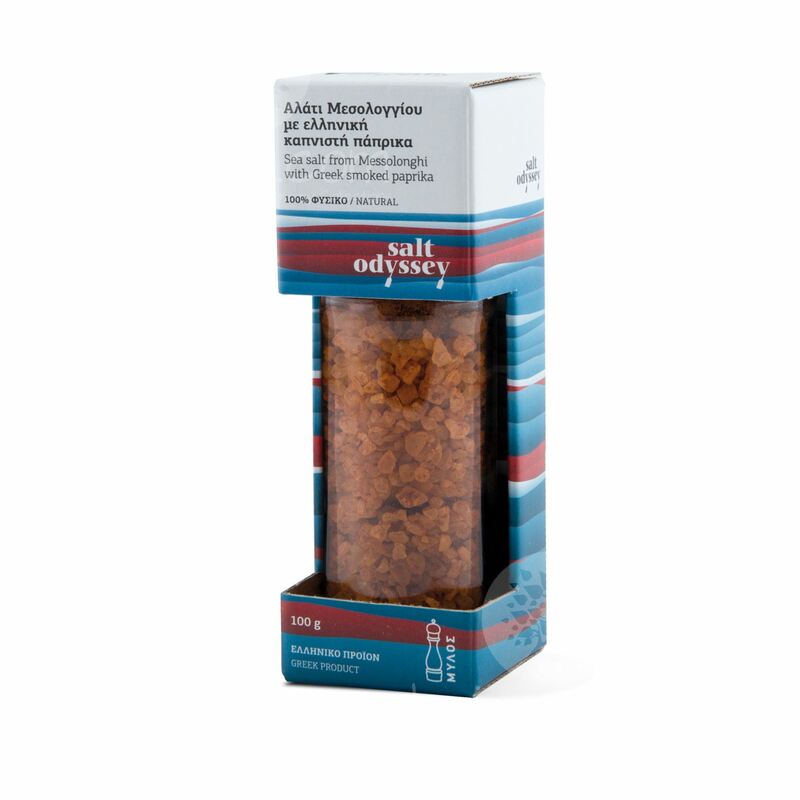 Description:Treasured for its beautiful red color, slightly sweet smoked taste and velvety flavor, this unique combination of coarse sea salt with naturally smoked paprika wakes up the chef hidden inside everyone! LIÁ characterised by a medium olive fruitiness that olives that are green. Medium fruity of green banana, red fruits, flowers, green apple, artichoke and wild herbs admirably balanced on bitter and pungent components, shows a very pleasant delicate note of walnut and pink pepper. 100% natural sea salt from Messolonghi, smoked in beechwood for 140 hours. Without Salt, Without Conservatives, Powder-free, Dye-free, suitable even for young children or people who are not allowed to salt.